Freddie Diaz’s technology career began immediately after he graduated college, at a time when personal computers were not-at-all common. In his role now, as vice president of global technology sourcing at Thomson Reuters, he operates in a rapidly-evolving space that has dramatically changed from the one he entered, one he couldn’t have imagined as a child. From 1979 to 2001, Diaz’s career path centered on technology. Then in 2001, he shifted his focus to sourcing. The Thomson Corporation at the time was creating a procurement team. The company planned to leverage its enterprise spend. “I went from technology manager with a medium-sized team to eventually heading up our corporate technology sourcing team within Thomson Corporate Global Sourcing,” Diaz says. Because of globalization, Thomson Reuters has access to a multitude of resources for its worldwide operations. This is a major change from Diaz’s early days there and marks a change that greatly affects day-to-day operations. 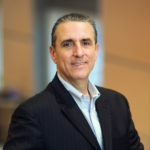 Diaz says that the heightened move to the cloud across all industries is also something Thomson Reuters is engaged in. A large portion of computing as we know it today will eventually be delivered via the cloud. “The sourcing and contracting requirements needed for this shift is more advanced and complex, and yet we are making great progress in order to meet that challenge head-on,” he says. Another area of focus is finding, retaining, and continuously training sourcing staff. Diaz calls it stimulating and says it is a rewarding part of an efficient, effective sourcing department. “The skill sets required of a sourcing person in this changing ecosystem need to be updated continuously,” he says. Despite Thomson Reuters size, procurement is not more difficult because of the global scope of the company, Diaz says. Having success in a global sourcing organization means finding scalable and sustainable solutions that can be standardized across the world and with minimal changes. When Thomson Reuters first decided to establish a sourcing function, the company didn’t have the expertise in-house to make it happen. The company either needed to hire new talent with backgrounds in purchasing, or help people in their technology divisions develop the needed skill sets in purchasing. “Before having a sourcing department, the people who were negotiating and purchasing technology products were those who used it or were in charge of the budgets,” Diaz explains. “Given that I was managing one of our technology areas and was practiced at negotiating and purchasing technology, I was a perfect fit.” Diaz joined the new team as it was created in 2001. As the role of procurement specialists has changed, so have business schools’ attempts to train professionals who can focus on that career path. “Today, there are actually college programs that focus on a career in procurement,” Diaz says. “The best program is one that would have a focus on the discipline of negotiating, reading and drafting agreements, and understanding the scope and importance of supplier relationships. ” He urges people who want to enter procurement to first study these areas, because Diaz says trying to build a career without these skills is very difficult. Looking forward, Diaz says the sourcing department has three main goals. The first is to continue to build strong partnerships with select suppliers for growth, leverage, and scale. The second is to focus on selecting the proper mix and numbers of partners needed to deliver the right products and services. Finally, a goal is to continuously improve delivery of services to internal customers. All of these steps will continue to improve a department and function that is rapidly changing, but maintains an unchanging standard of excellence.